The entire family will enjoy a trip to Nashville with all the fun and engaging attractions the city offers. From history, music, and car museums to sporting events, animal exhibits, and everything in between, the whole family is sure to have a good time in Music City. Exercise your body and mind at the Adventure Science Center with 175 interactive exhibits including the out-of- this-world Space Chase, the heart-pumping Adventure Tower and gravity-defying Blue Max adventure. Be sure to take in a show at the state-of-the-art Sudekum Planetarium. Engage in the history of country music at the Country Music Hall of Fame® and Museum. Expose the entire family to some of country’s greatest stars at the world-famous Grand Ole Opry. Take in a show at the legendary Bluebird Cafe where songwriters perform in an intimate “in-the-round” setting and older children can hear from the songwriters behind their favorite tunes. Nashville Zoo at Grassmere is an animal adventure for everyone. Ride the new Soaring Eagle zipline, tour the Grassmere Historic Home, swing and climb at the Jungle Gym, and explore beautiful habitats like the new Spider Monkey: Treetop Passage exhibit and guest favorite Kangaroo Kickabout. Plus, see animals from around the world including White Rhinoceros, Masai Giraffe, Caribbean Flamingos, Clouded Leopards, Red Pandas and many more! Cheekwood Estate & Gardens which includes 55 acres of gardens, sculpture trails and family fun activities including Cheekwood in Bloom every Spring. Head to the many parks and green spaces Nashville has to offer including Bicentennial Mall where you can learn about the history of our state, Centennial Park, Edwin Warner Park, or Riverfront Park in the heart of downtown. The renowned Frist Art Museum presents ever-changing exhibits of different genres. The Martin ArtQuest Gallery is designed for children and families to explore and create at hands-on art stations. Plan on a show at the Nashville Children’s Theatre, which has been creating extraordinary theatre for children and families for over 80 years. They offer a diverse season of plays as well as year-round drama workshops. The Lane Motor Museum is one of the few car museums in America to specialize in European cars. Approximately 150 cars and motorcycles not typically seen in the U.S. are on display. Come see the largest Tatra collection outside Europe, a substantial micro car collection, amphibious vehicles, competition cars, one-of-a-kind vehicles, alternative fuel vehicles, military vehicles, and a collection of motorcycles. Tour Andrew Jackson’s Hermitage, Home of the People’s President, featuring special tours and seasonal activities. Learn about the Civil War at the Tennessee State Museum or at Fort Negley, the largest inland stone fortification constructed during the Civil War. 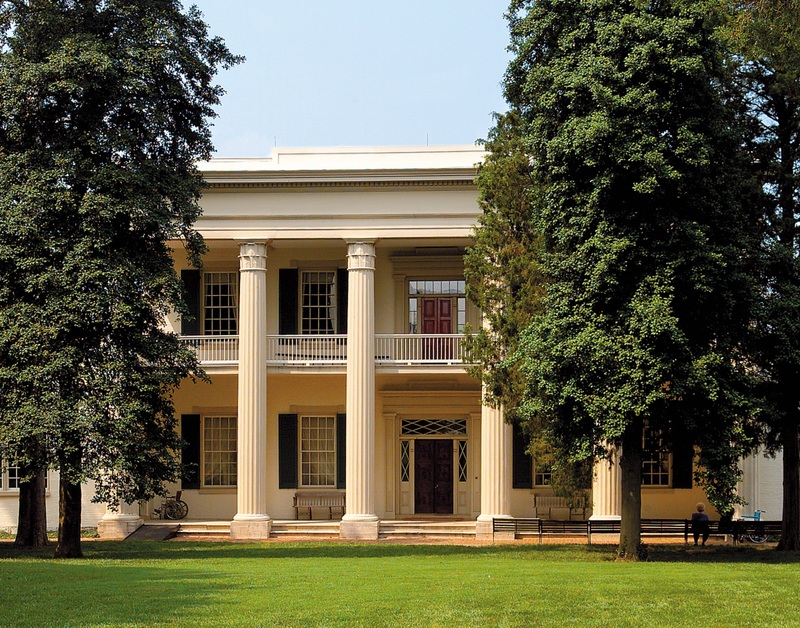 Stop by Belle Meade Plantation, once a world-renowned Thoroughbred horse farm, now a historic site and museum. Be sure to also see the world’s only full-sized reproduction of the Greek Parthenon that houses Athena, the tallest indoor structure in the Western world at Centennial Park. Explore Music City and enjoy the great weather at the same time by hopping on a Music City Trolley Hop by Gray Line of Tennessee, paddle boarding the Cumberland River with Paddle Up Nashville, riding through downtown and the many greenways on a Nashville B-cycle or on a Green Fleet Bicycle Tour. First Tennessee Park, located just north of Downtown, fills up when the Nashville Sounds, a Triple-A affiliate of the Texas Rangers, have a home game. Sounds games are filled with fun and entertainment for the kids while the Band Box offers games for adults such as ping pong and corn-hole and a delicious food and drink menu. No matter the time of year, Nashville always has something fun going on. Music City has a variety of seasonal events that offer a range of activities for the whole family to enjoy. Learn more about the events coming up on our Featured Events page.